If you’ve ever wondered how much of your life you have wasted on Social Media, Facebook will tell you with its new app. Despite the widespread assertion that time spent on the internet is time wasted, enthusiasts of new technology stress its benefits. What both sides don’t realise, according to Tom Standage’s recent book, is that these debates have raged for longer than most people think. 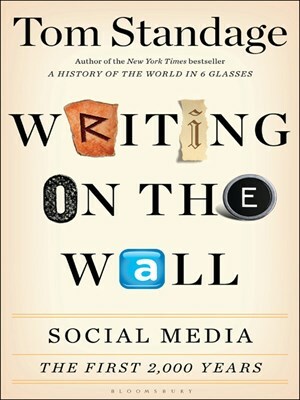 According to The Writing on the Wall: Social Media the first 2,000 years by Tom Standage, society’s concerns about the trivialisation of media is several centuries old. Every complaint about social media dates back to the Ancients. Do you think that the internet diminishes peoples’ mental faculties? Well Socrates worried that writing would diminish the art of memorising and debating. Do you think that social media encourages people to waste time? The same was said about the coffee houses of the eighteenth century. Today the spread of knowledge is unthinkable without writing and coffee houses formed the foundation of scientific and banking institutes. Like their illustrious forebears, Standage thinks that modern social media has similar potential. In his historical study Standage shows a preoccupation with the forms of that media take. An uncharitable reviewer might castigate this book as being one of those works that uses the lure of technology to generate interest. While the weaker sections of the book rely on comparisons of old media with modern technology, this is unfortunate as the author has other strings to his bow. At its best this book is an invaluable and detailed history of the evolution of media from ancient times to modern. The section on Ancient Rome, the first well-documented letter writing culture in the West, is full of references to Romans communicating via table sized devices, copying letters, and writing on public walls. But this downplays the important question of why it was Rome and not the more sophisticated Greece that apparently embraced this technology. During the specific time period that the author discusses, the nature of the Roman public was changing from the citizens of a small city state to the elite of an empire. However, the spreading of postal networks as well as the publication of the first ancient gazettes coincided with a time when the Roman Republic became less democratic, not more. His discussion of the spread of printing is stronger. He starts with a discussion of how the printing press kicked started Martin Luther’s Reformation. An important part of his case is the way that he emphasises the skilful way that Luther used the medium available to him. It was not simply the strength of his arguments that led to his success, but the way that he uses easily communicable language to bring it to the masses. The Catholic authorities had no effective means of countering it as the old methods and language were obsolete. What Luther and his allies didn’t anticipate was that the spread of printing would mean that the reformation would go further than Luther they had intended. The rise of ultra-radical protestant doctrines and the peasants revolt, although it was crushed, showed that open media could have unintended consequences, far beyond what even radicals intended. This tendency of open media to go beyond its original mission is a recurring theme in the book. The chapter on the English Civil War argues that any attempt to suppress the printing press always led to the proliferation of more pamphlets. This made any attempt to supress the printing press futile. For most of the history of the printing press the governments of Europe kept up an intermittent, if ineffective, policy of censoring the press. The great periods of press freedom in the old world tended to be during revolutionary situations where the authority of central government was weak. The press, unrestrained by censorship, flourished in the colonies in America and it is here that the potential of open media reached its greatest extent. A significant feature of the newspapers that sprang up during this time was that they were essentially compiled by their readerships and the informal social networks that their editors belonged to. The similarity with modern day blogs is obvious. The veracity of the reports of these informal new networks could not always be verified, which led to the rapid spread of rumour but the benefits outweighed the costs. It was the freedom of the press that led to the American Revolution. Once the exchange of free media became a staple in the colonies, people became very resistant to attempts to place stamp duty on publications. This culture of freedom persisted in the newly created United States underpinning the First Amendment guaranteeing freedom of speech. Subsequent attempts to either censor the press or to centralise broadcast media were met with resistance in the U.S.
Standage argues that it took advertisers and corporations to do what central government could not as a key plank of his case is that the rise of modern mass media represents a departure from the usual open media. The steam press allowed newspapers to be mass produced and sold more cheaply. Advertisers began to fund newspapers and professional reporters replaced informal networks as the source for news. At the same time, thanks to the invention of the telegraph, sources of news became more centralised. Broadcast media replaced open media. The rise of social media, however, meant that media could be produced very cheaply and produces an alternative to mainstream media. Bloggers in their pjamas have broken stories that have been missed by the news corporations, and debunked those that the big broadcasters have uncritically accepted. 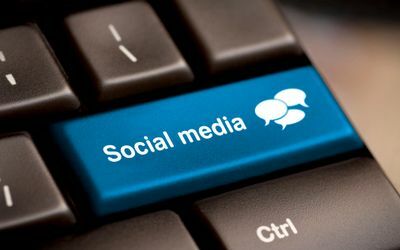 It is certainly true that social media has limitless potential, but Standage oversimplifies things by pitting social media against mass media. The shift towards professional reportage can, in fact, be said to be progressive. Standage lauds the way that it has become an alternative news-source to the mainstream comparing it to the 18th Century, but while the more open media atmosphere of the 18th Century allowed more debate, the journalistic standards often were lower with rumour being printed as fact. Of course, there is no reason why broadcast and social media cannot co-exist and compliment each other, but the problem with mainstream news is currently that it relies on the internet and social media too much, downplaying investigative reporting. Standage, while championing freedom of the online press, expresses some reservations about the ‘utopian’ idea that an open press will lead to the triumph of truth and reason, citing the way that enlightenment thinkers were disappointed by the mob atmosphere in revolutionary France. It is true that social media can also become a tool for conformism. “Twitch hunts” have been carried out against those who have transgressed the norm. But unlike the violent rhetoric in 1790s France, which was a product of deep social divisions and a civil war, the new cyber intolerance is a product of the narrowing out of politics in the last 20 years. Indeed, insofar as social media opens up avenues for public discourse, it coincides with the closing down of the public elsewhere. It is just as well that you can promote your public gathering, church, or political group online as flyposting, preaching and handing out flyers is banned or discouraged on the street. But even in the era of mass media, there was no shortage of alternative views to the mainstream. Public discussions were as boisterous as any in the last few hundred years, divisions between left and right still meant something and the counterculture challenged everyone. It was never the case, except in the most repressive regimes, that you couldn’t argue with mass media. The health of public discourse is dependent on the nature of the public. At the moment the public culture is quite conformist so social media is conformist in its turn. It will take a freer public culture for social media to reach its full flowering.